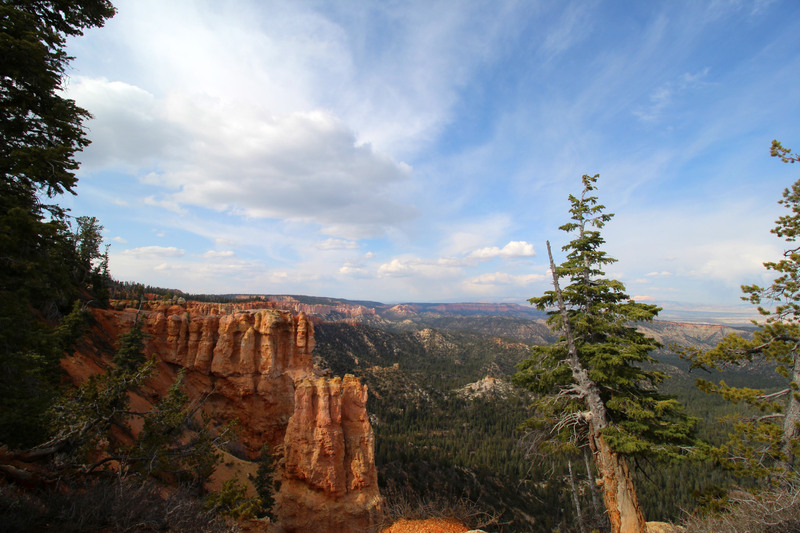 Several years ago when we took a 6 week camping trip out West for homeschool purposes (well, yeah, it was also a vacation…) we stopped at a campground – in the dark – on our way to the North Rim of the Grand Canyon. When we woke up in the morning, we discovered our campsite was on the beautiful Virgin River, just miles away from Zion National Park. 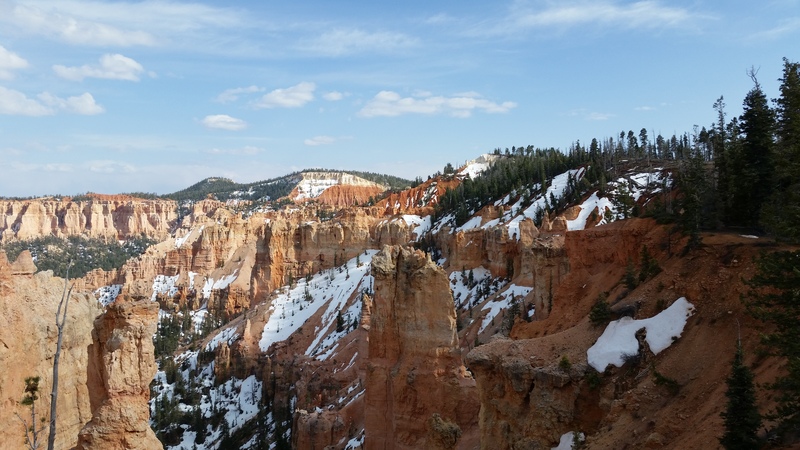 I had never even heard of Zion National Park, but since we were just outside the gate, and hey – as a homeschooler, the tendency is sometimes to try to cram as much as you can into any learning experience – we decided we might as well see what Zion was all about. 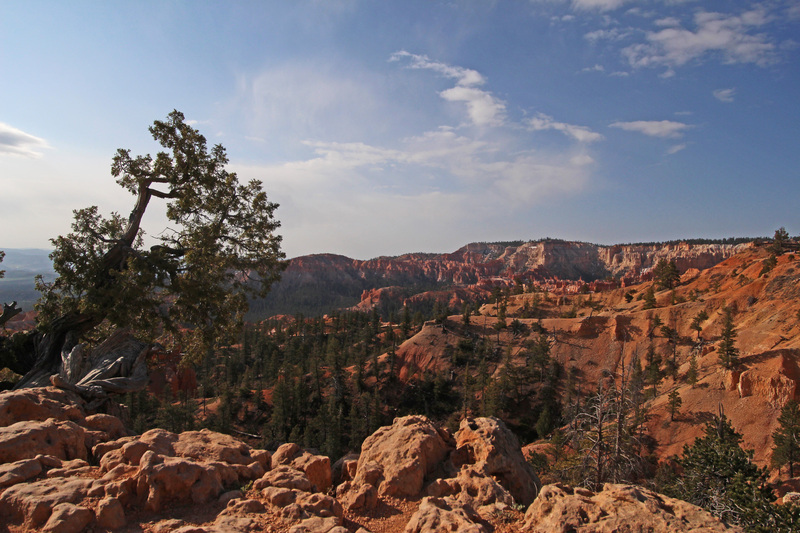 Zion National Park is breathtaking. I couldn’t believe what we’d stumbled into. I mean, there’s a reason it’s called Zion, a name for one of the most holy places on earth to Jews and Christians alike. It’s a stunning array of reds, whites, oranges, greens, turquoises, blues, grays, and more. 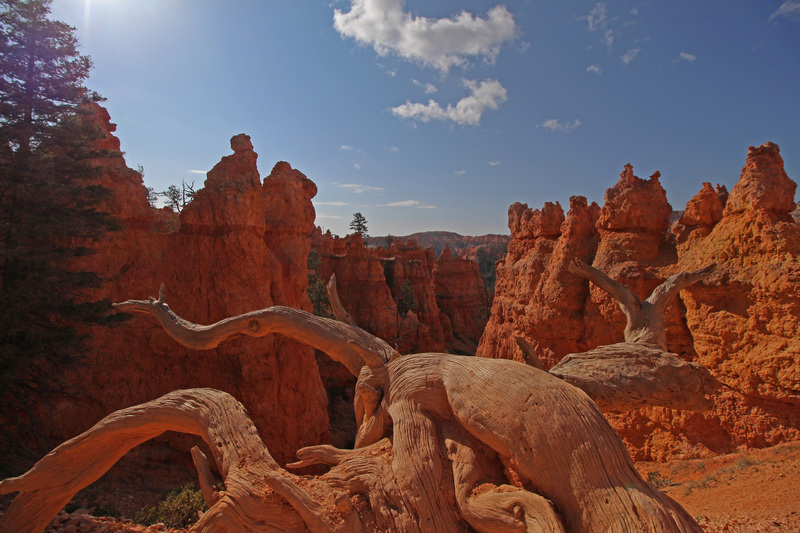 It’s abundant high desert vegetation juxtaposed against humongous rock faces reaching toward the heavens. I couldn’t believe anything so beautiful could exist in the U.S. and I didn’t even know about it. At the time, we only had a few hours to see it, so my husband and I agreed that one day we’d return. 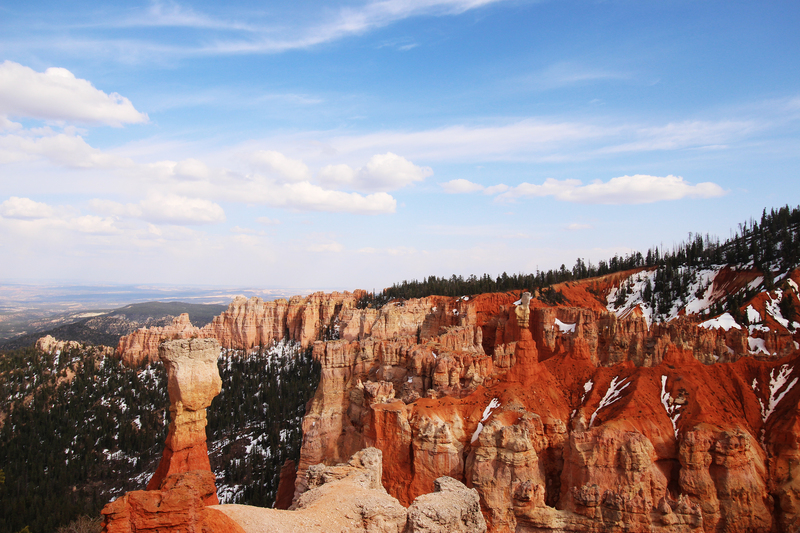 When my husband suggested I accompany him to Las Vegas for a business conference and then we’d drive the few hours to Zion, I was all in. 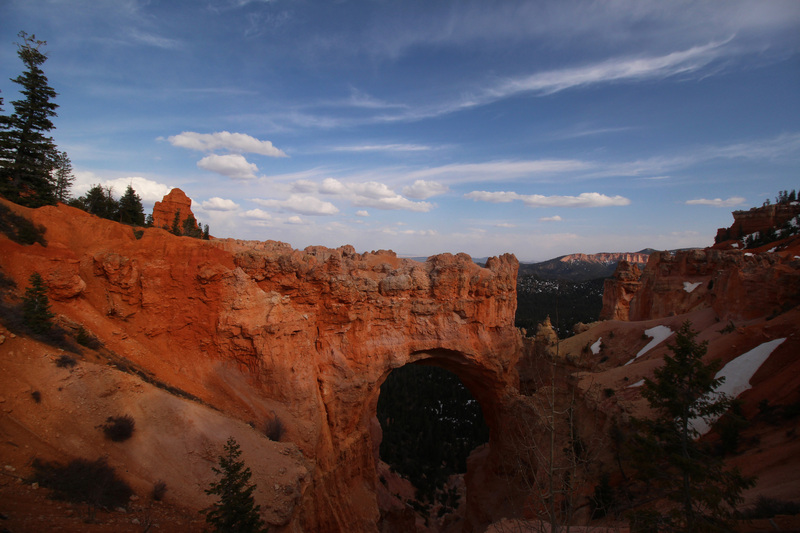 But he had heard from many people about the grandeur of Bryce Canyon, Utah, so he wanted to go there as well. 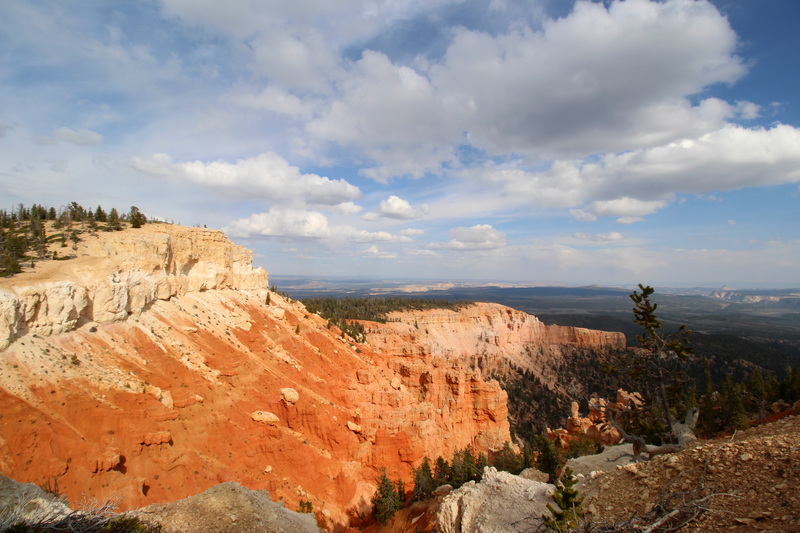 I confess, when he told me he wanted to spend a couple days in Bryce, I was a little annoyed. I didn’t want anything to take away from my time at Zion. (Can you tell I really, really love that place?) Because my husband usually doesn’t request much for himself, I agreed that since it was just an hour or so away, we should make the time and just do it anyway. Just go. And I’m so glad we did. It was amazing. Spectacular. Similar to Zion, yet completely different. 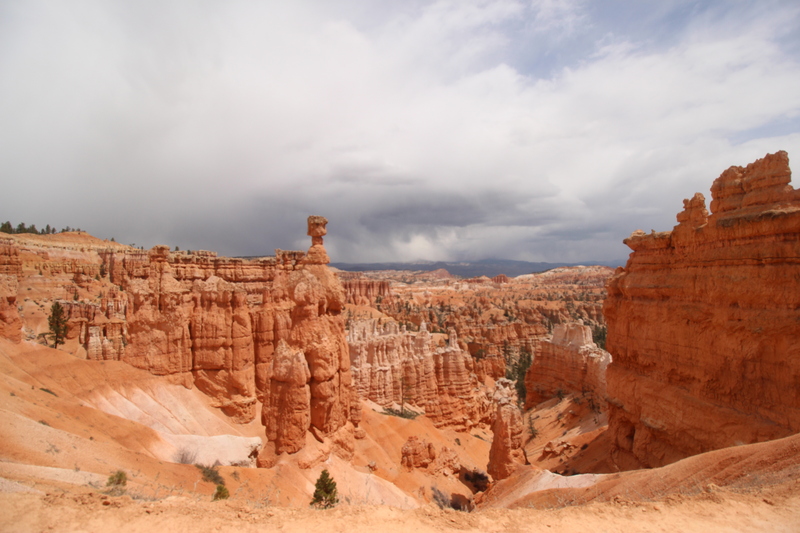 Bryce Canyon is known for its hoodoos, which essentially are just rock columns. 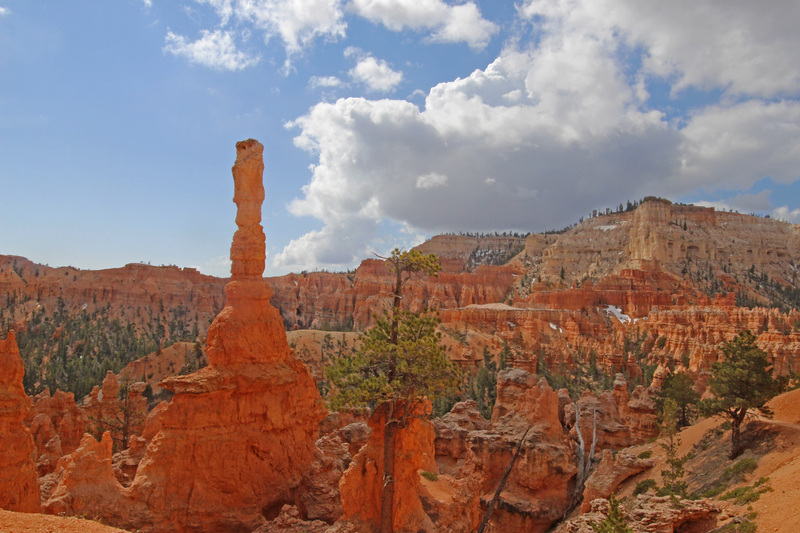 The thing is, some of these rock columns are tens of feet tall and look like they could topple over at any moment. 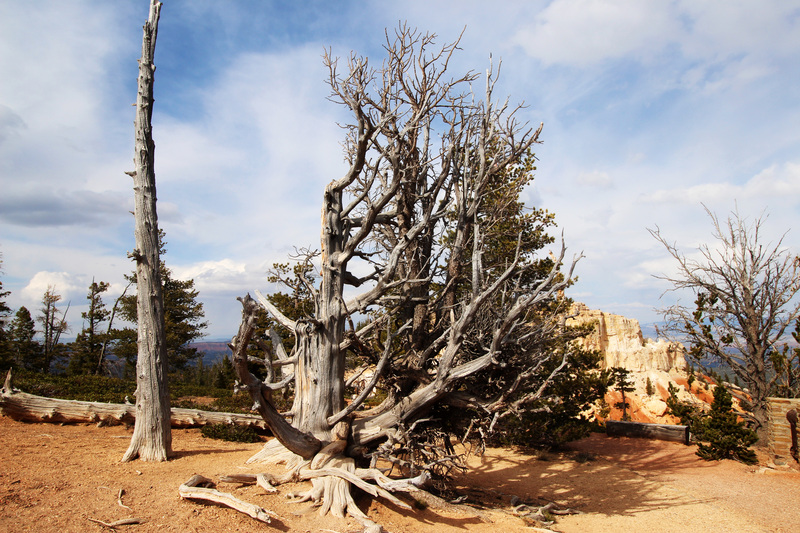 They’ve been formed by years and years of wind, rain and snow, but leave Bryce and you won’t see any within miles. 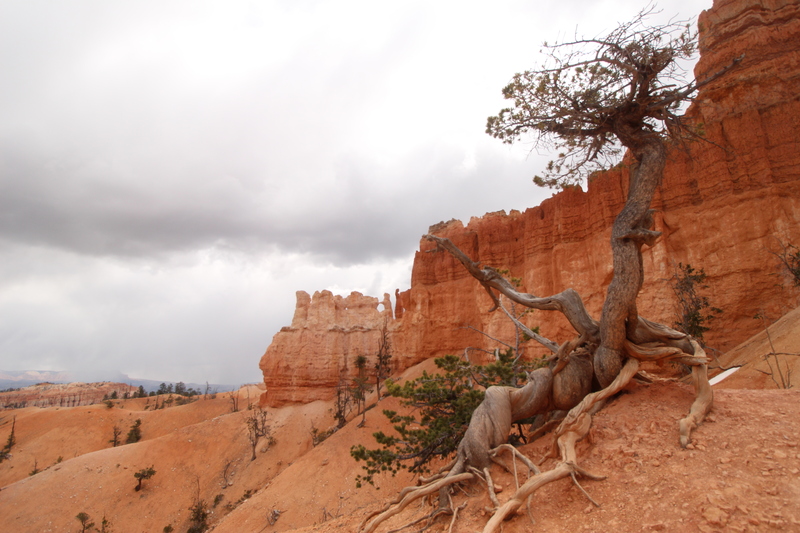 Because the hoodoos are columns, many of the trails in Bryce Canyon wind their way around them. 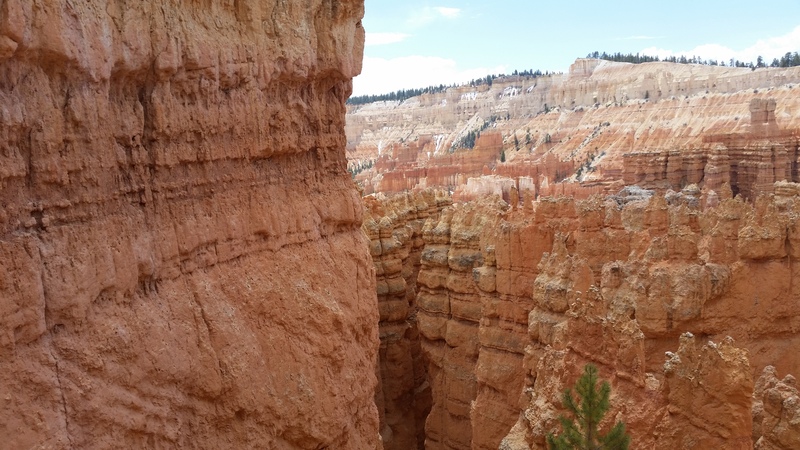 And depending on the time of day and sunlight conditions, moving a distance of even just 10 feet around one (or more) can dramatically alter the view of not just the canyon itself, but what one is able to see in the distance. I’m a very visual person and one of those “camera people” – people who take their camera with them everywhere to document everything. 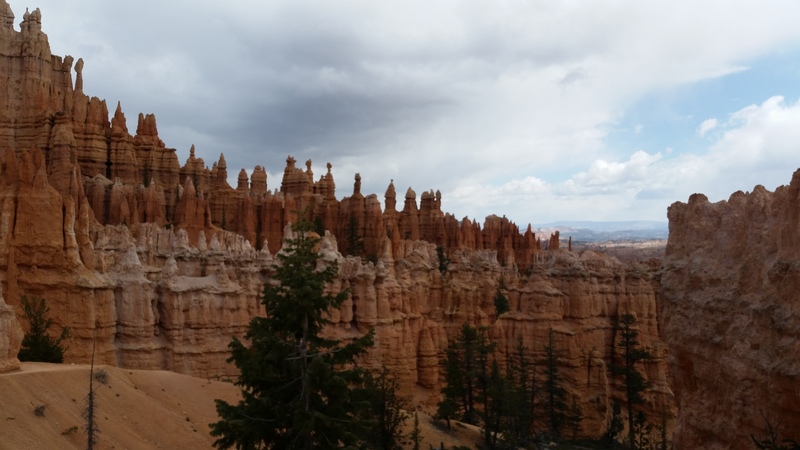 I had my camera camera with me as well as my phone camera, and because the landscape changed so drastically almost every 10 feet, I took pictures almost every 10 feet as well. 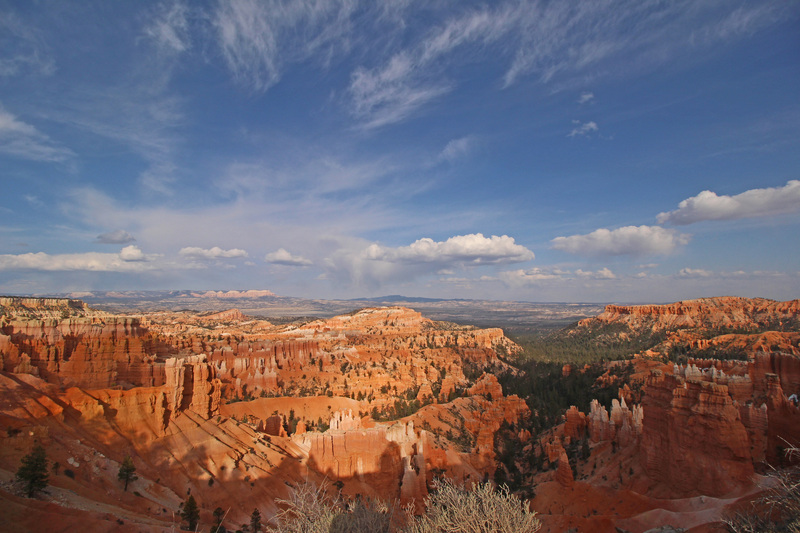 With each few steps, every aspect of our viewing perspective changed. Greatly. So what I saw 15 feet ago wasn’t what I was looking at now. I wish some of these pictures could show you what we saw with more realism, but it was truly incredible how just a matter of inches literally could change the entire perspective. It was a lesson to me – isn’t God good that way? – that sometimes when I’m walking through something, whether it be a relationship struggle, a fear of what the future holds, or even just one of those days where everything seems to go wrong, I hold on to a certain perception that what I see is what will remain. But that isn’t the complete truth. 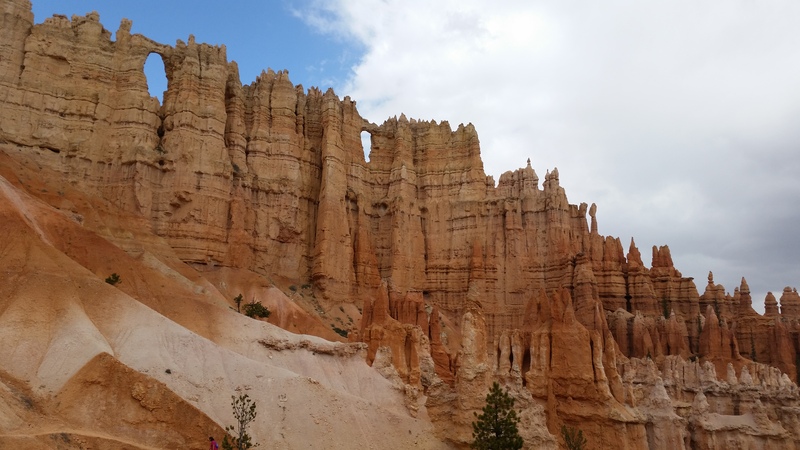 Just like walking around those hoodoos changed what I saw from step to step, the reality of what I might be experiencing can change from minute to minute. Tenaciously though, I often cling to only what’s right in front of me, not what will be. I forget that there’s more to the trail than the very finite part of the path I’m walking on at that moment. I’m reminded of something I shared with my daughter a few years ago when she was just entering that phase of teenage-dom where it feels everyone is looking at you. Those years where you’re embarrassed by changes in skin, an awkward body that no longer feels or looks like what it once was, and emotions that sometimes cause a person to shift moods within the span of moments. My daughter was lamenting how, at some function, she felt like everyone had been looking at her, judging her for what she either was or wasn’t. I related how I remembered feeling the same way at her age, but odds are, everyone else was also feeling exactly like she was. Everyone was focused on their own personally perceived flaws instead of someone else’s. Because we’re selfish and self-centered that way… I told her that I couldn’t recognize it back then; it was only with age, experience and growth that my perspective changed. I realized that rarely was anyone looking at me. Back then I had no understanding of that because I hadn’t had a seasoned life yet. With seasoning, my perspective changed. With years, my perspective changed. With age, my perspective changed. With GRACE, my perspective changed. 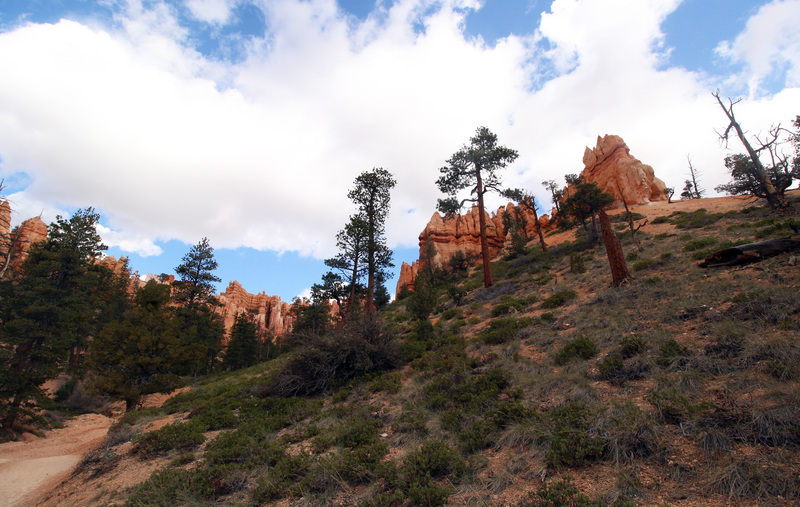 It often amazes me how God uses the things I fight against – going to Bryce Canyon or having a difficult conversation, for instance – to show me something about His goodness. In the middle of that cold and hot hike (Yes, it was both… a difference of 10 feet, you know!) He gave me a visual that illustrated how, if I just trust Him, have faith in Him, whatever I face might be different tomorrow, next week, next month or next year. Perhaps though, the circumstances may not change, but my perspective might, and honestly? Looking at my circumstances from a different vantage point, a different perspective, may be just the thing that makes all the difference in the circumstance. What a beautiful post, Christine. Yes, perspective, perspective, perspective. And what a loving God to show us these lessons in such a glorious way. 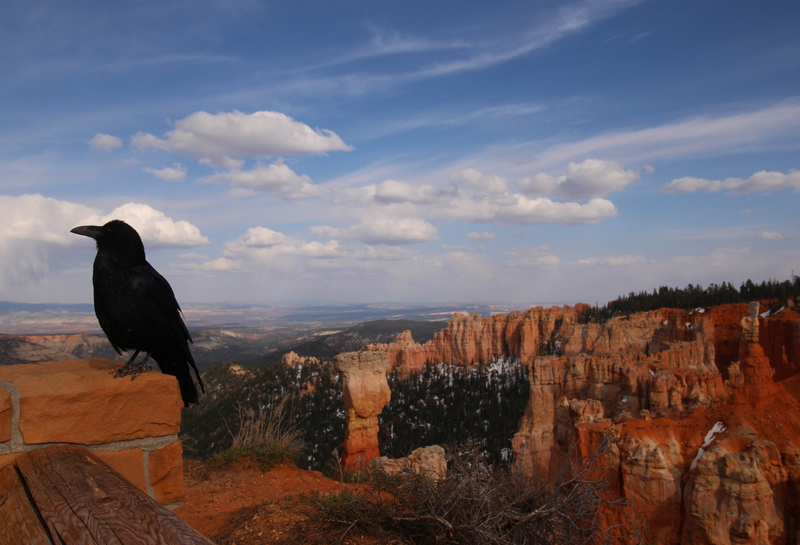 Thanks for sharing your insights (and your pictures!). I often need this reminder. Blessings! I find it’s easier to see His beauty and learn His truths when I’m not in my comfort zone or home base, so to speak. Odd that… Thanks for your kind words! Loved this. It’s exactly how I felt when we went to the Grand Canyon. I couldn’t take enough pictures because every few steps. the scene changed. That is just like life. I like to think that what God sees when He looks at our messy lives is like what we see at a “scenic overlook.” Thanks for sharing. Loved the pics, too! Wow! Wonderful photographs, deep insight. Thank you for sharing.